With adventure vacations continuing to grow in popularity, it’s no surprise that families are looking for adventure travel ideas, too. And, the tourism industry has taken notice. Wherever you travel, adventure vacation ideas for families are sure to be available. You don’t have to look too hard to add excitement, maybe some hiking, biking or kayaking, to your family’s summer vacation. 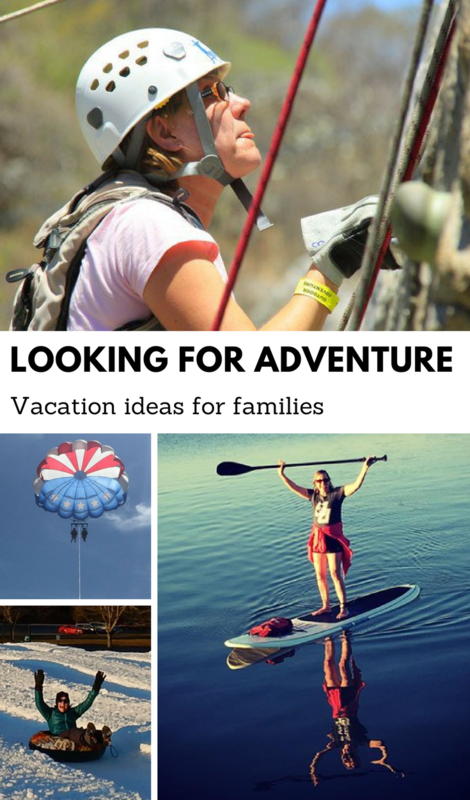 Adventure travel offers many benefits to families. First, it provides an opportunity to learn something new. That’s exactly how my (recent) adventure lifestyle began. I went paragliding one trip. Another trip, we went horseback riding in the mountains. Then, we started adding day hikes, kayaking excursions and other adventures to our trips! Secondly, adventures draw us closer together as we create shared memories. Disney knows this — even though a trip to the Magic Kingdom isn’t exactly adventure travel. But, their marketing draws on our desire to create memories through shared experience. That’s exactly what adventure travel does. There’s something about conquering that mountain trail ride in 20 degree weather that makes a great story. Then there’s the thrill of learning something new, like wake boarding, that makes thrilling memories regularly relived. Our shared experience weaves a story that strengthens our family bond. Thirdly, an adventure vacation helps us realize our potential! I never dreamed I would be able to wake board. NEVER! But, Ben wanted to learn, so I tried. I never thought I’d be able to tackle stand up paddle boarding, but I did! Stretching myself to try something new helps me discover more of who I am. Sharing those experiences with family makes it even more exciting. We encourage each other, celebrate the successes and laugh through the wipeouts! And we grow closer. If you haven’t considered an adventure vacation for your family — or if you have and you need more ideas — why not consider it this year? If you are new to adventure travel, try a guided tour or day trip. 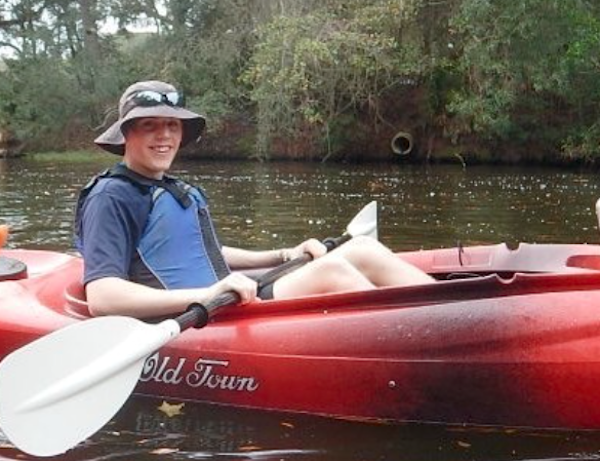 We took our first kayaking adventure on a trip to Hilton Head Island in South Carolina. The guide taught us how to paddle efficiently as he pointed out wildlife in the low country. After that trip, we knew kayaking would be part of our lives and bought two tandem kayaks (the kids were little). Now we all have our own individual kayaks and spend lots of time on the water each summer. Ask questions when booking your adventure. Often, adventure outings include all the equipment you’ll need. For wake boarding, we needed swimsuits and a t-shirt. The wake boarding company provided helmets, life jackets, wake boards and “shoes.” Ask about the needed equipment, if you need to arrive in advance (often there’s a training session before your actual adventure), or what food/drinks you should bring. Often, they recommend you bring a bottled water, but many companies provide that. I also recommend you ask their experience with kids (if not clearly stated on the company website or in brochures). Schedule lessons. Whether you book a group lesson or private lesson, many activities are better learned with lessons. Learn proper safety techniques and tips to make it easier! Know your limits (and your family’s limits too). Of course, there are the basics: height, weight and age requirements. But also, there’s the fear factor — if you’ve got a timid family member, start with easier adventures! Work your way up as you all gain confidence. Zip lining was easy for me (not sure why). But now, I love rock climbing, strenuous hikes, and even bike riding (on trails — not ready for road biking yet). Wherever you travel, it’s easy to make it an adventure vacation! Take your family beach vacation to the next level with a kayaking excursion, wake boarding lessons, surfing lessons, or stand up paddle board lessons. Or, if you prefer to avoid the water, go horseback riding on the beach or rent bikes and take a day trip. I have to say, bike riding on the beach is one of the hardest things I’ve ever done! But, if I can do it, so can you! Here are some of our favorite beach adventures! Biking! It’s affordable and fun. And, most beaches have great boardwalks and biking trails. 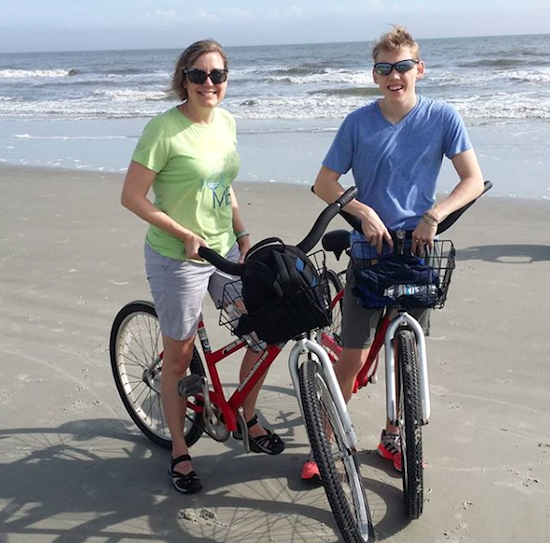 My three favorite beach biking vacations: Hilton Head, Gulf Shores and Orange Beach, and Jekyll Island. Kayaking! My favorite place to kayak is Hilton Head Island. With kayaking tours through the marshland and river kayak rentals, there’s plenty to see by water. We were introduced to kayaking here, and it’s still our favorite place to kayak. But, I’ve also kayaked the open waters in Mexico, on our gulf coast and inland on lakes and rivers! It’s a great way to explore by water! Surfing! Surfing is more popular now than it has ever been. And, while I haven’t gone surfing (yet), I have a list of places I want to try! Stand up paddle boarding! Called SUP, this is my favorite way to explore our waters (unless I’m tubing or riding in a fast boat!). Yes, it’s a great form of exercise, but it’s also quiet (so quiet) and relaxing. I love being able to board into small coves to see the wildlife, too. For a long time, I always thought of rugged adventure whenever the word “hike” came up. But, there are hiking trails for every level of adventurer. When our kids were little, we took walks on the paved trail in the woods at our local park. Through the years, as we’ve become more adventurous, we have found some awesome new places to hike. Some are tough! Some, not so tough. We go prepared — with bottled water, sunscreen, proper attire (hiking shoes for the terrain) and high protein snacks. Rail trails. Throughout the country, old railroad lines have been converted to rail trails, using established train paths for park trails. These trails are wide, generally gravel covered and easy — a great option for beginning hikers. We also like that they cut through all sorts of places, behind neighborhoods, in the woods and across fields — much like a train would! Local and regional parks. Cities and municipalities have gotten in on the fitness craze, creating great trails for hiking, running or long walks. Many connect different neighborhoods, offering an alternative to cars, taxis and buses for getting around. Some of my favorite parks are my own Raleigh Greenway, Red Mountain Park in Birmingham (AL), Moss Rock Preserve in Hoover (AL), Land Trust of North Alabama (in Huntsville), Leigh Farm Park and West Point on the Eno in Durham (NC) and Put-in Bay in Ohio. State and national parks. Head to a nearby state park for a weekend getaway and explore the trails. Most state parks offer a number of trails, with various lengths and levels of difficulty. Some state parks have lodging (usually quite affordable). They provide activities for every fitness level and lots of space to relax. 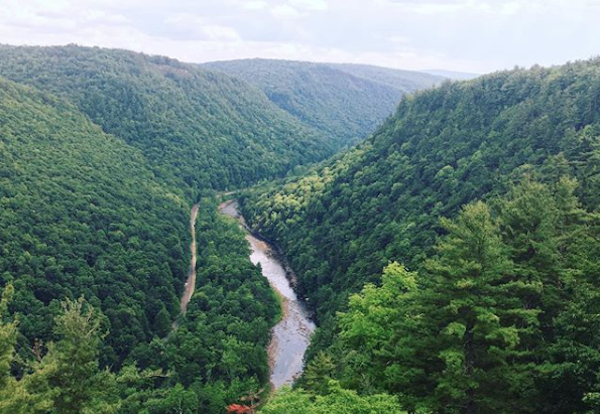 Some of our favorite state parks are Raven Rock (NC), Gulf State Park (AL), Lake Tahoe (CA), Linville Falls (NC), Chimney Rock (NC), Pine Creek Gorge (PA), Pere Marquette State Park (IL), Hocking Hills (OH), Tuscarora Trail to Eagle Rock (WV) and Natural Bridge (VA). Of course, there’s more to adventure than water sports and hiking. The more adventures I take, there I want to do! Here are some other ideas to add to your summer vacation adventure. Horseback riding! 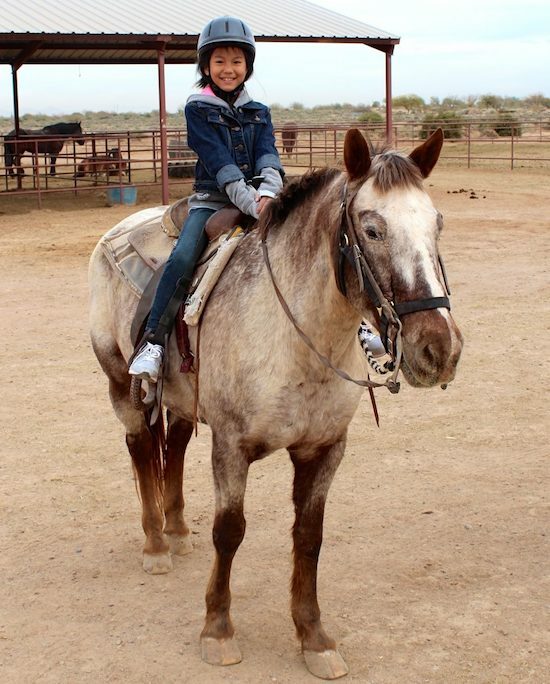 Ellie and I went horseback riding for the first time in Arizona at the Koli Equestrian Center. She loved it so much, it’s her first request for every trip we take! We loved exploring the desert on horseback — though we never saw a jack rabbit! On another trip, with Ben, we explored the Shenandoah Valley on horseback at Fort Valley Ranch. Ellie and I loved it — but Ben recommends you wait until it’s warmer than 20 degrees! HA! Horseback riding is available at places across the country, from the beach to the mountains and everywhere in between. Segway tours. Before you judge me for calling this an adventure sport, let me just say I’ve seen a wipeout! It’s vicious. Segways take balance and coordination (which I apparently lack, though I didn’t wipe out). I took my Segway tour at Presque Island, PA, but there are lots of places throughout the United States to give it a try. Parasailing. Best known at the beach, Ben and I went parasailing on the Mississippi River in Illinois! Oh yeah! This isn’t exactly a strenuous adventure, but it is a thrill. We both had moments where we would overthink things, but it’s loads of fun! Just make sure you parasail with a certified company — not all practice safety. Zip lining. Oh, so much fun. Our first zip lining adventure was in Mexico. I was overwhelmed by the 100+ temperatures, but the trip was worth it anyway. Zip lining in Ohio and Illinois was equally fun. 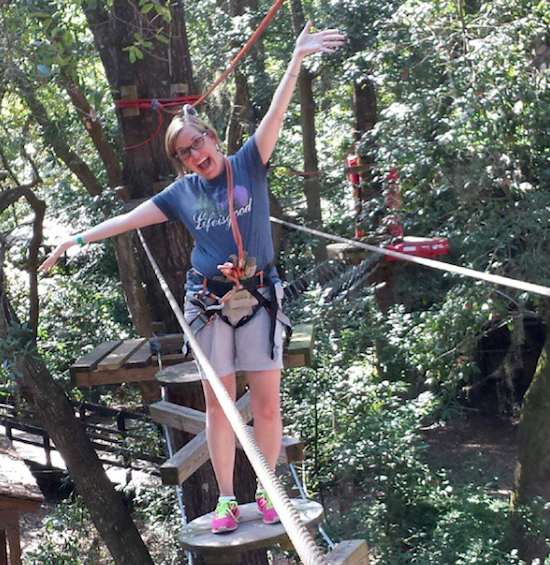 Zip lining is great, because there’s a bit of adrenaline as you step off the platform. But, everything else is easy — just sail along the line and do your bird imitation! Just don’t look down if you’re afraid of heights. Snow tubing. My favorite winter adventure, hands down, is snow tubing. I love it (even if it is bitter cold and windy). It’s fast, thrilling, strenuous but easy to pace and something the whole family can do together! Skiing and snowboarding. I’ve been skiing once. It was hard! But, I only had a 30 minute group lesson. Next time, I’ll take private lessons and learn how to do it right! Here are some other tips to ski and snowboard on a budget. Even if your idea of the perfect vacation is to relax poolside or at the beach, add some adventure to your family vacation and create incredible memories. What’s even better is that many adventure activities are free — or really cheap! Early morning hikes (before the heat of the summer day) are free! Groupon offers adventure discounts to help you save on activities. Many hotels offer adventure packages to increase savings. And, check the attraction website directly for savings discounts. Whatever your travel style or budget, adventure vacations are in this year! What’s your favorite adventure? Let us know in the comments below or come talk with the community on Facebook! Oh my gosh! Well written and very organized…I’m thinking of things I’ve never thought before, thanks! I’m inspired!!! You’re welcome! And thanks for the compliment. I try to be organized, at least on the blog. Just don’t look in my pantry!